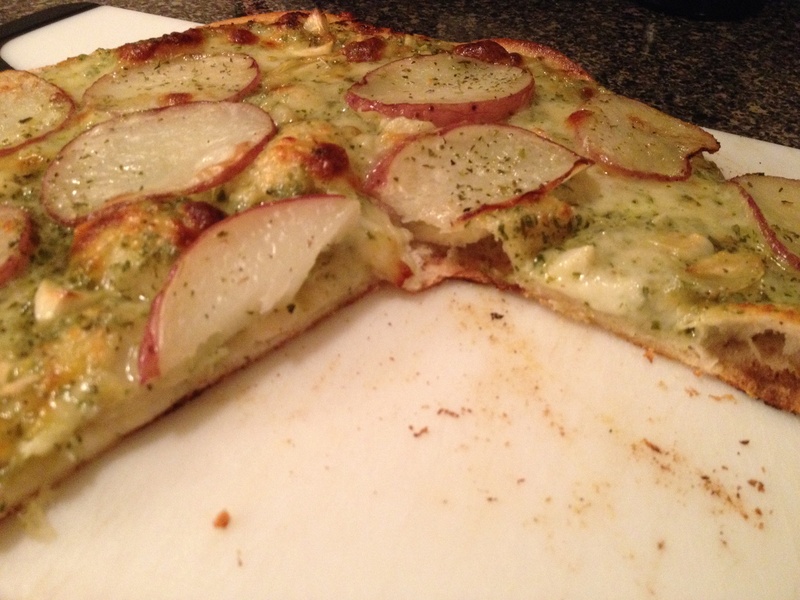 Pesto, Potato and Garlic Pizza – T.W.O. Published on December 20, 2013 December 19, 2013 by T.W.O. Friday Night Pizza Night with T.W.O.! 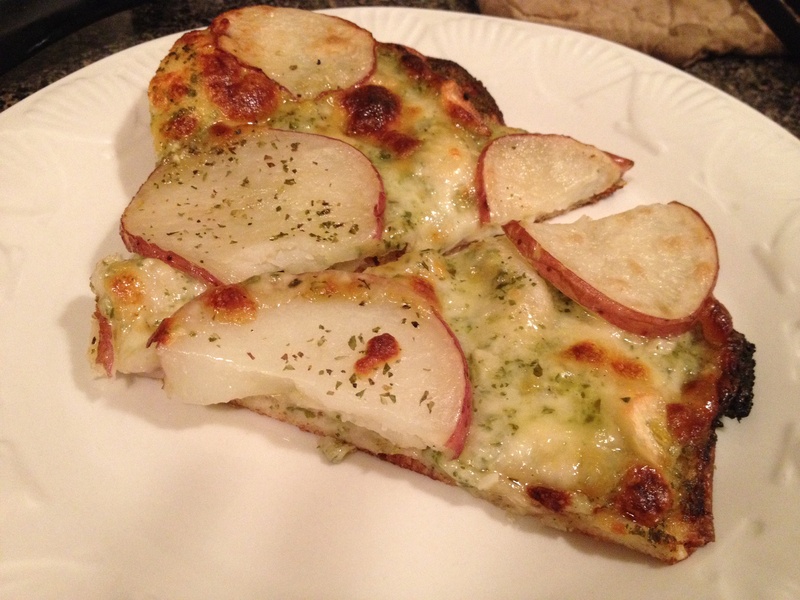 This week we are featuring a hearty pizza that includes pesto, potatoes and garlic. 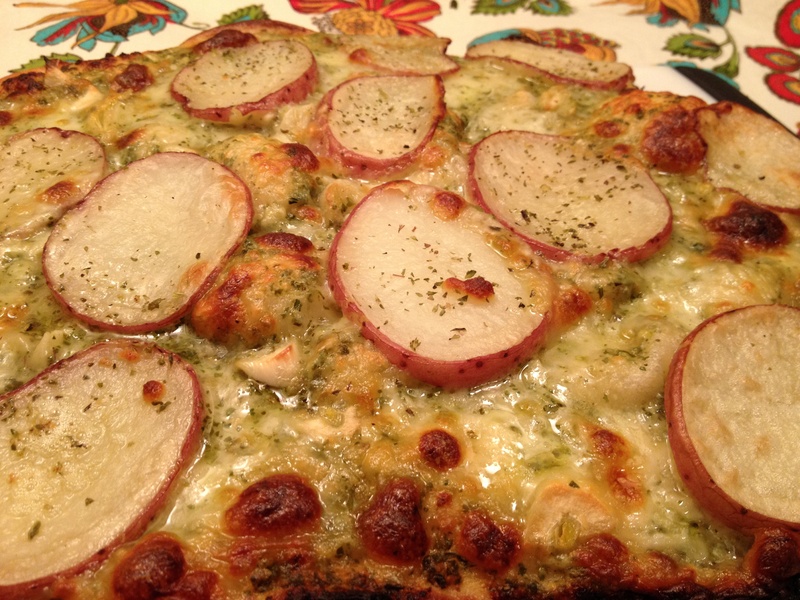 We adapted the recipe from one of our favorite pizza parlors in San Francisco – ZA Pizza! We hope you enjoy it as much as we do! *T.W.O. used pizza dough from VJB Deli. Season the thinly, sliced potatoes with salt, pepper and oregano. Place the potatoes on a greased cookie sheet and cook for 20 minutes. While the potatoes are cooking, roll out the pizza dough on a floured/ cornmeal surface. Once the dough is evenly rolled out, transfer the dough to a greased cookie sheet. Next, take the pesto and spread it on the dough, making sure you reach all the edges. Then add the mozzarella to the pizza. Take the garlic and sprinkle it evenly on top of cheese. 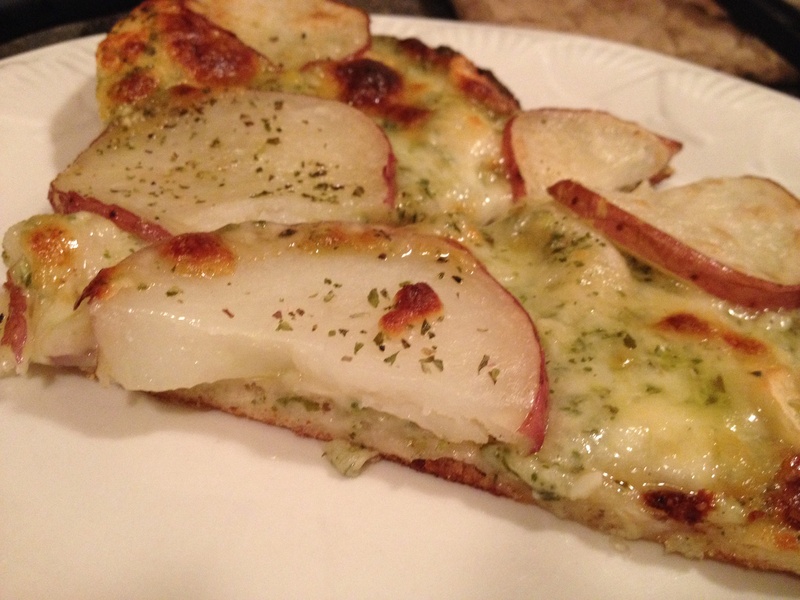 Once the potatoes are done (they should be soft, but not mushy), add the slices of potatoes to the top of the pizza. Let the pizza rise for about 15 minutes. Note – you don’t want to put the pizza in a cold oven, so make sure your oven reaches 425ᴼF.Once the oven is ready, place the pizza in the oven and watch closely. Do not open the oven door, as you want to keep the heat in. The pizza will take 15-20 minutes. Once done, take the pizza out of the oven and let it sit for 5 minutes prior to cutting.